Recently, we received the sad news that Ilya, one of the manatees in our Adopt-A-Manatee® program, had passed away after he sustained fatal injuries from a watercraft collision in the Florida Keys. In 2009, Ilya became famous when he set off on a trip that took him as far north as Cape Cod, Massachusetts, and was rescued from cold waters in New Jersey. When Ilya was young, he befriended another manatee named Napoleon, and he was named by a biologist who was a fan of the 1960s TV show The Man from U.N.C.L.E. The show featured two characters: American Napoleon Solo and Russian Illya Kuryakin. Ilya was identified by scars from boat strikes that had removed the bottom of his tail and left him with a white scar on the middle of his head. Although a few manatees have been known to range as far west as Texas and as far north as Massachusetts, these sightings are generally rare. But in the summer of 2009, Ilya left his south Florida home and traveled north. He was documented in the Chesapeake Bay, New Jersey, and Connecticut before being seen in Cape Cod in mid-September and Connecticut in late September. In early October 2009, there were no northerly sightings of Ilya, and everyone hoped that he had finally decided to head south for the winter. But on Thursday, October 15th, Ilya startled a refinery worker by appearing at a warm water outflow at the ConocoPhillips Bayway Refinery near Linden, New Jersey. At that time of the year, water temperatures in the Arthur Kill tidal strait, where Ilya was located, were estimated to be between 60 and 64 degrees. Typically, manatees cannot tolerate water temperatures below 68 degrees for long periods of time, but the warm water discharge from the oil refinery had heated the surrounding waters to 75 degrees. A photo taken of Ilya in the Florida Keys in September 2013. If you look closely, you’ll see the white scar on his head that helped researchers identify him. On October 27th, a rescue team was able to capture Ilya. He was transported to an indoor heated pool at the New Jersey Marine Mammal Stranding Center and given care by veterinarians. After being cleared for travel, Ilya flew back to Florida on a U.S. Coast Guard C-130 cargo aircraft. He was then transported to the Miami Seaquarium where he underwent a short rehabilitation and was released near Miami on December 15, 2009. A group of more than 40 people made Ilya’s 2009 rescue a success, including the U.S. Fish and Wildlife Service’s Manatee Rehabilitation Partnership, who coordinated the rescue, as well as staff and volunteers from the New Jersey Marine Mammal Stranding Center, Florida Fish and Wildlife Conservation Commission, Miami Seaquarium, and Point Pleasant Dive and Rescue Team, as well as government officials, refinery workers, and veterinarians. ConocoPhillips employees operated boats and a crane for the 7-hour rescue effort, and the refinery provided a heated tent with food and hot coffee for the rescue workers. A memorial adoption for Ilya is available for renewing members, and the proceeds of his memorial adoptions will go to help protect all manatees. For more information, contact Save the Manatee Club by phone at 1-800-432-5646 or by email at membership@savethemanatee.org. 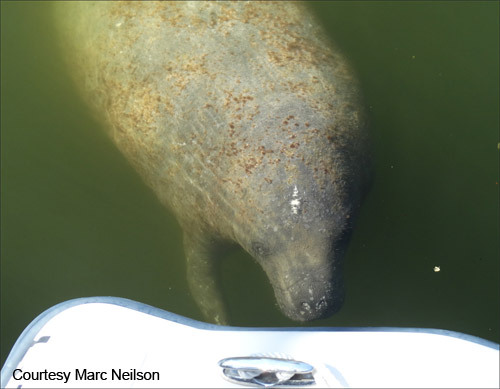 Donations to Save the Manatee Club’s Emergency Rescue Fund help make funds available to rescue manatees, provide for their care during rehabilitation, and assist with their release back into the wild. Please report sick or injured manatees in Florida as soon as possible by calling the Florida Fish and Wildlife Conservation Commission at 1-888-404-FWCC (3922). Also report dead manatees, a manatee wearing a “tag” or tracking device, orphaned manatees, or a manatee that is being harassed. 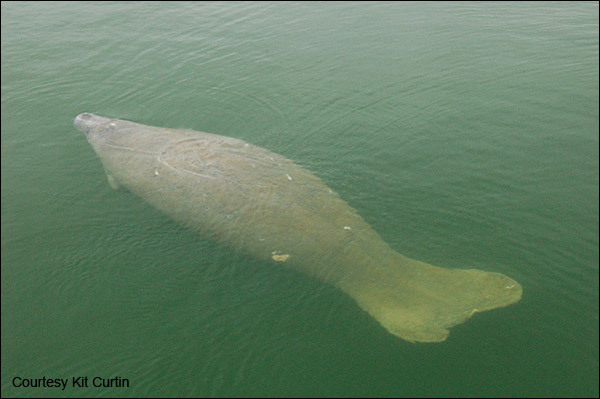 Click the following link to get more information as well as information for reporting manatees outside of Florida.